Degree, Eng., Politecnico. 1989, joined Recchi Costruzioni Gen.; 1994, Chairman & CEO, America. 1999, joined General Electric; various mgmt positions, Europe & US, incl. : GM, GE Capital Structure Finance; GM, Industrial M&A and Business Dev. ; Pres., GE Italy; until May 2011, Pres. and CEO, GE South Europe. 2011-14, Chairman, Board, Eni. Since April 2014, Exec. 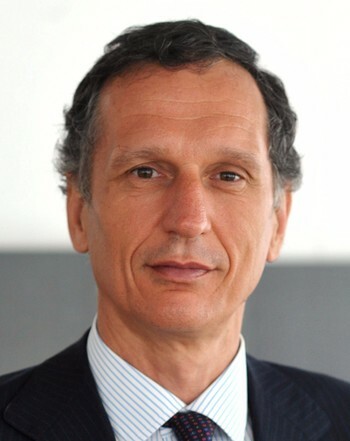 Chairman Telecom Italia; also, Board Member UnipolSAI Assicurazioni SpA. Member: Italian Cttee for Corp. Gov. ; Aspen Institute Italia. Director: Italian Institute of Tech. ; PACI, World Economic Forum. Co-Chair, Task Force on Improving Transparency and Anti-Corruption, B-20 Russia. Former Visiting Prof., Turin Univ. Editorial commentator: HBR; others.